The U.S.S. 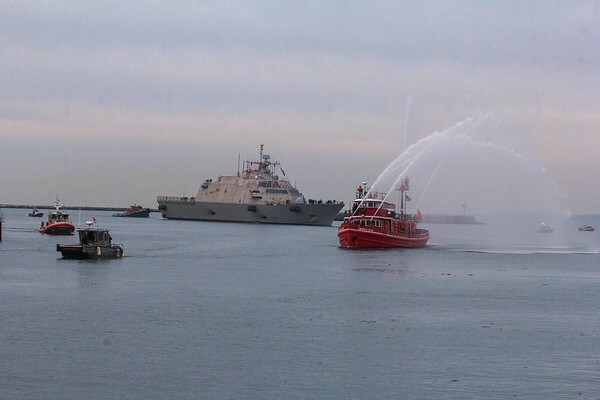 Little Rock is escorted to Canalside in Buffalo by the fireboat Edward M.Cotter. The Little Rock will be commissioned in Buffalo on Decenber 16th.